The Russian efforts to undermine stability in Europe has been in the news throughout the Western world, but nowhere else is the threat felt as acutely as in the Baltic States. 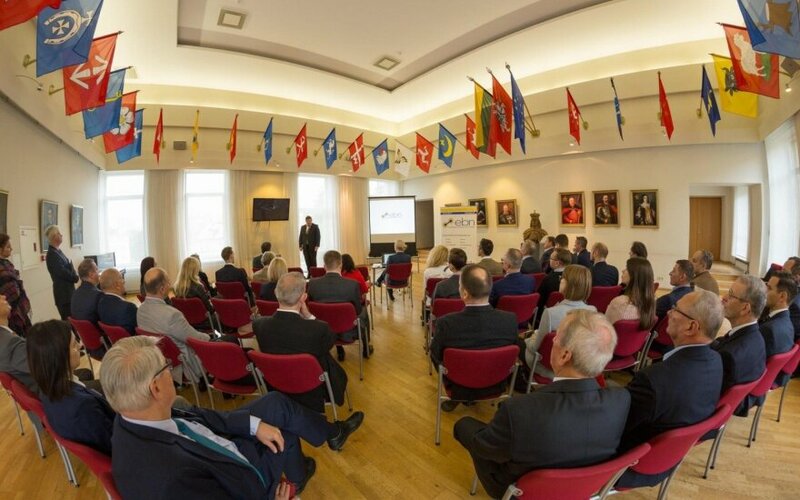 The European Business Network invited its members to hear about NATO’s work to counter the threat in the Baltics, a press release from the network states. Guests at the EBN business breakfast on September 27 had a unique opportunity to hear from three distinguished speakers: the Minister of National Defence of Lithuania Raimondas Karoblis; Colonel Jakob Søgård Larsen, the Commander of NATO Force Integration Unit in Lithuania (NFIU LTU); and Lieutenant Colonel Miguel Simoes, communication adviser and spokesman of the NFIU. Moods in the Baltic States, on the eastern flank of NATO, have been uneasy ever since Russia started flexing its muscles abroad, first during a quick war in Georgia in 2008, but especially after its invasion of Ukraine in 2014. "The security situation [in the Baltic region] is not predictable at all," Minister Karoblis summarized the state of affairs. "Yes, it is possible to say that we are back in the Cold War situation. Some people say that not yet, but we are close, but some people say that we are not in a Cold War situation, but that we are already in a hot war situation, having in mind the Georgian war and the war in Ukraine." He outlined measures taken in the country in response to the situation: raising defence spending, especially for investment in weaponry and defence infrastructure, stationing NATO troops and working with the society to boost its resilience to possible and actual attacks from Russia. The resilience of the Lithuanian society is high, Minister Karoblis noted: the support for the country's membership in NATO is overwhelming and over 50 percent of the population say they would be ready to defend the country in case of an attack, something corroborated by the fact that when Lithuania reintroduced military draft in 2015, the first call of conscripts was filled entirely by volunteers. The good news, Minister Karoblis says, that Lithuania's allies now understand its security concerns. Responding to Russia's invasion of Ukraine, NATO opened a Force Integration Unit (NFIU) in Lithuania, currently commanded by Colonel Jakob Søgård Larsen of the Danish Armed Force. "We are here because of Russia," Colonel Søgård Larsen told the EBN guests. He has been in the Danish Army since 1985 and has had opportunities to work with and study Russia's actions while serving in Bosnia, Kosovo and Afghanistan. Coming from a family of academics, Colonel Søgård Larsen underscored that he understood well pacifist positions averse to war. "No one wants a war," he said, but if attacked, it is crucial that a society can and, crucially, think it can defend itself. "The mindset is very important. You must think you can win. And if the opponent also thinks you can win, then you will win without killing," he said. The society and its mindset has been a crucial target of Russia's effort, with fake news and disinformation playing as important a role as displays of conventional military power. 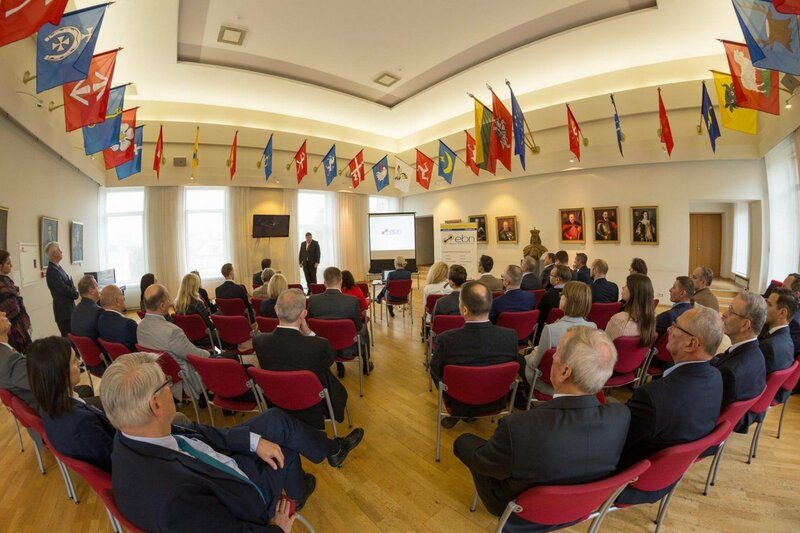 Lieutenant Colonel Miguel Simoes, of the Portuguese Armed Forces, outlined the effort NATO puts into strategic communication to counter Russia's so-called information war. The goal of Russia's effort is "to confuse rather than convince, to divide opinions rather than provide an alternative viewpoint," according to Lieutenant Colonel Simoes. "The best place to hide the truth is in the second page of Google search results," he said. To tackle this threat, NATO also adopts a wider tactic that transcends the purely military: working with civil leaders, doing community outreach, communicating via traditional as well as social media to make sure that the public is able to discern reliable news and fake news.